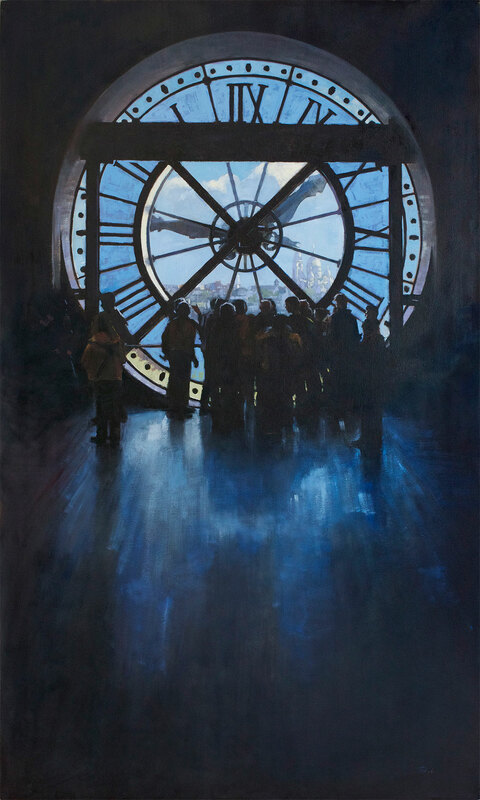 This painting captures my favorite sight from a trip to Paris. The window of the Musée d'Orsay framing the view of Sacre Coeur. Everything about the scene came together for me - the amazing landscape beyond the window, the cluster of figures inside the museum and the window itself.